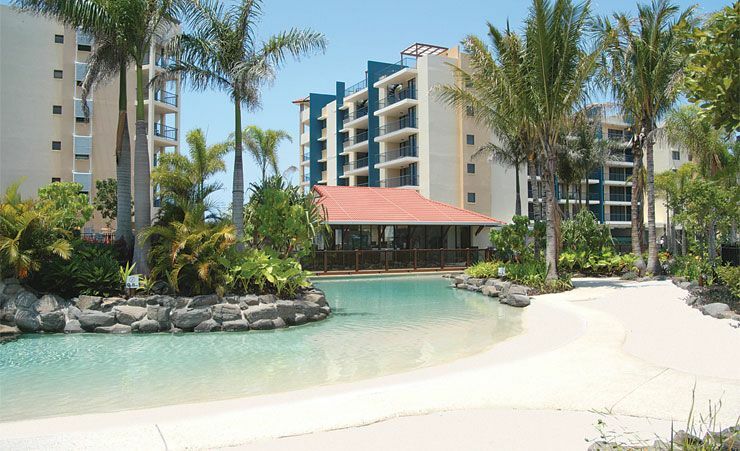 Just thinking of a holiday on Australia's Sunshine Coast is enough to raise a smile. The prospect of that idyllic weather, those endless beaches, and that relaxed way of life is a perfect tonic. 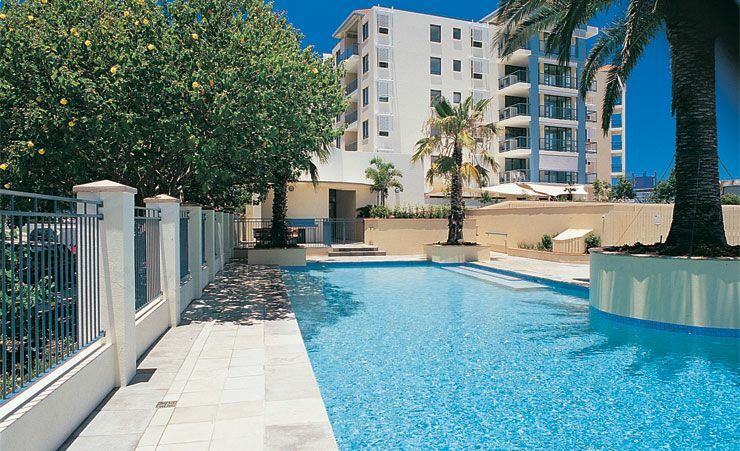 Many holidaymakers to the Sunshine Coast opt for self-catering accommodation. It's easy to eat when you're out and about. There are so many fresh fish restaurants along the various beaches, opportunities for barbeques and tempting bars, cafes and restaurants along the way that you'll want to please yourself. 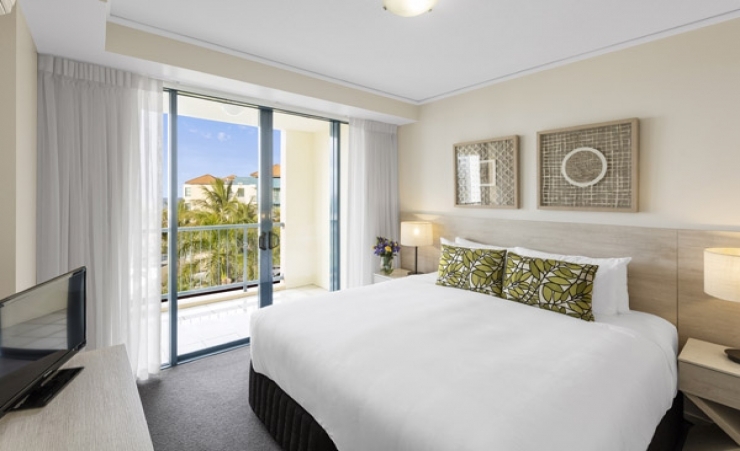 So a venue like the Oaks Seaforth Resort in Mooloolaba is absolutely perfect, offering you all the facilities of a four and a half star hotel, with all the advantages of a self-catering holiday. When you see the Oaks Seaforth Resort for the first time you'll immediately see what a wonderful facility it is. 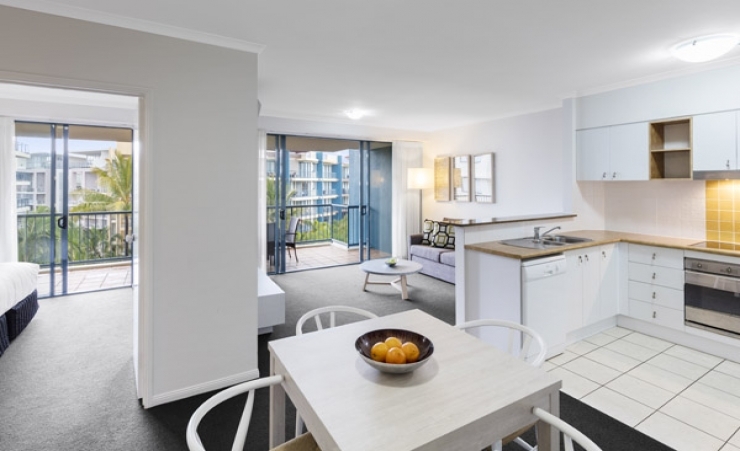 Beautifully designed, ideally placed at the edge of the Alexandra Headland and just yards from the beach, it's the perfect place to stay. 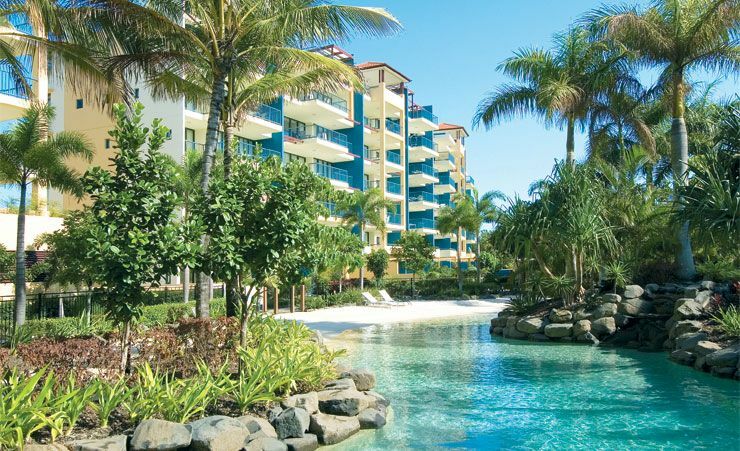 Factor in all the additional facilities like the swimming pool, the lush gardens and the wonderfully landscaped gardens and you'll be even more in awe. 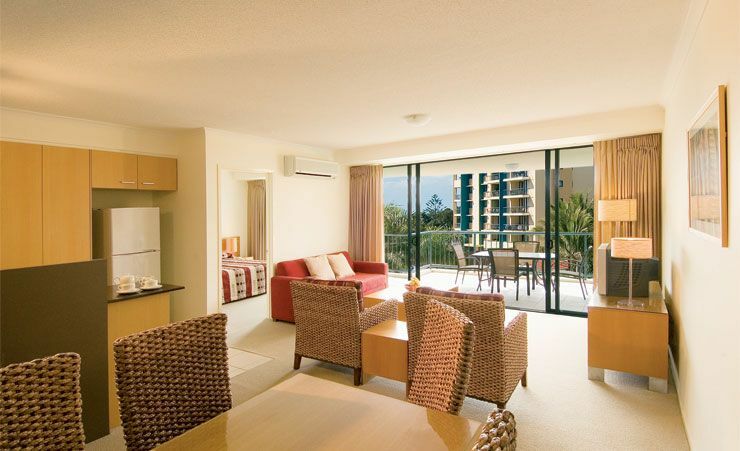 Rooms are light and spacious – designed to let in as much of that Sunshine Coast light as possible. 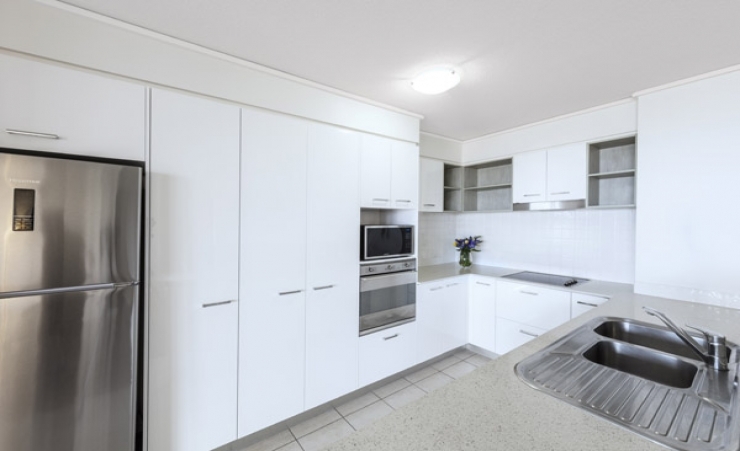 They're well equipped too; the kitchen is well laid out and comes with microwave and laundry facilities. Apartments feature cable TV, stereo, telephone and hairdryer. 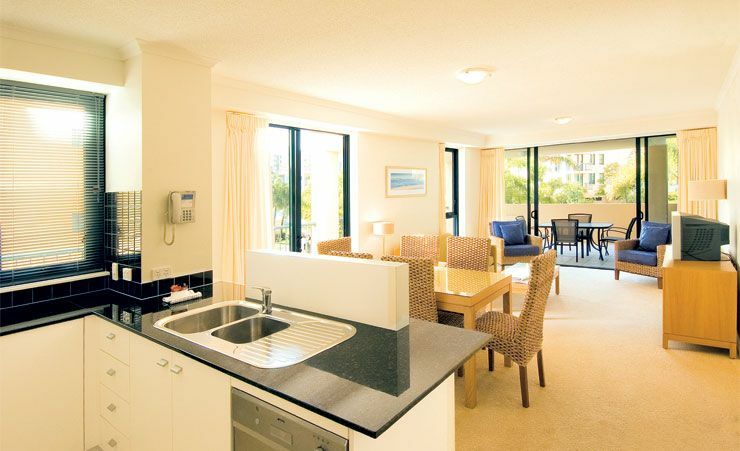 Two bedroom apartments are also available – just ask for details. There are plenty of opportunities for getting together with other guests too. There is a gym, spa and sauna and, of course, barbeque facilities too. A few bars and a couple of popular restaurants are also located close to the hotel. The smart outdoor pool is always inviting, and its tropical garden setting makes it the perfect place to while away a few hours. 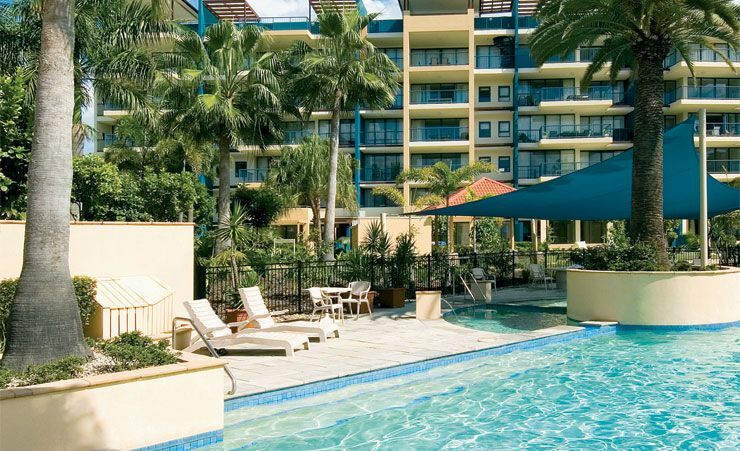 Whether you're here for the surf or the sun, the Oaks Seaforth Resort gives you the very best base from which to enjoy all the benefits of a holiday of a lifetime on Australia's Sunshine Coast. 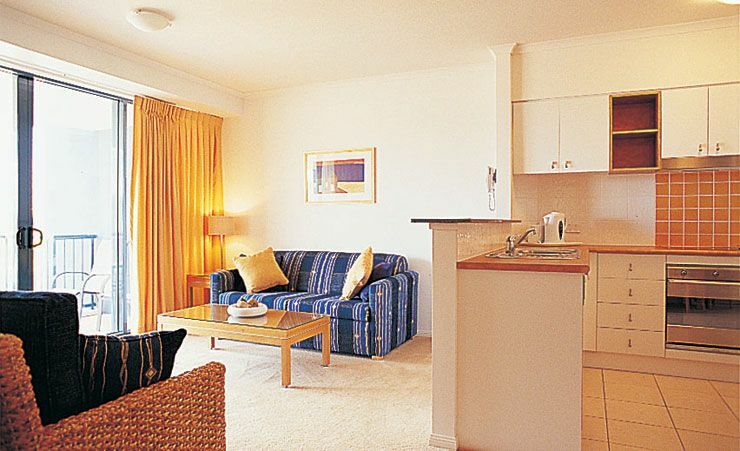 Find out more about your accommodation and the in room facilities at the Oaks Seaforth Resort . 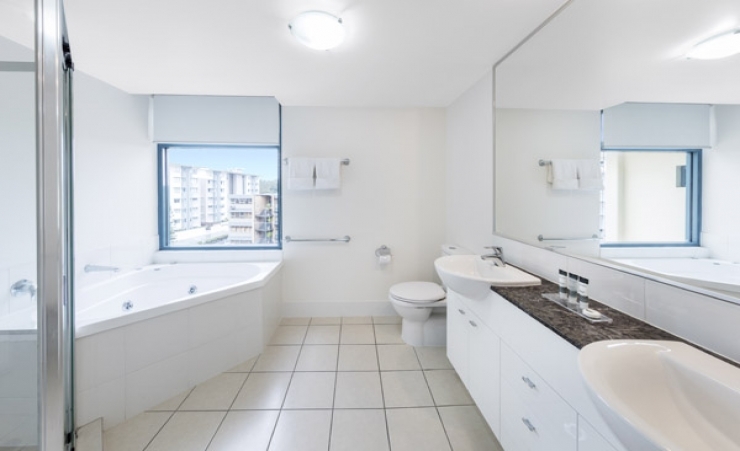 1 Bedroom Apartment featuring full kitchen facilities including full size fridge, laundry, private balcony, TV with cable channels, air-conditioning and 30 minutes continuous use of FREE WiFi daily. Spacious 2 Bedroom Apartment featuring full kitchen including full size fridge, laundry, private balcony, TV with cable channels, air-conditioning and 30 minutes continuous use of FREE WiFi daily. 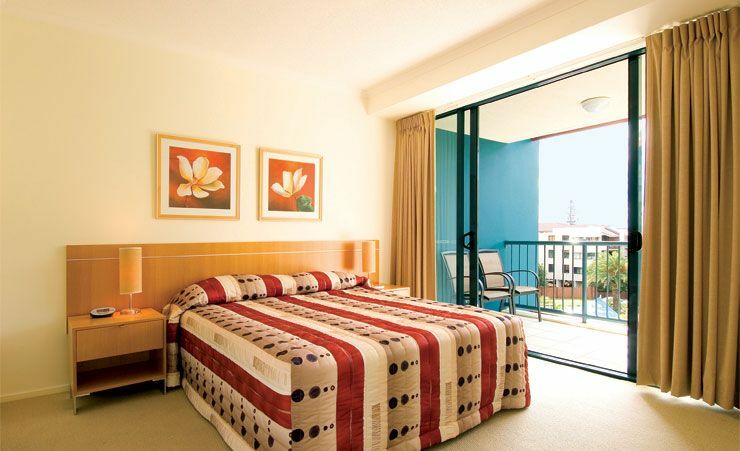 The resort is fantastic, in a great location and we had a brilliant room with sea views. Very spacious and clean 2 bed apartment with an ensuite inc. bath/shower and separate bathroom with very large walk-in shower, good kitchen & huge balcony. Two different pool areas - a lagoon style one and another with hot spa and lap pool - both were lovely. Staff were incredibly friendly and helpful - special mention to Kate on the front desk who was just delightful and welcoming. reception chose us a quiet room in windsor south.excellent. Very helpful staff, could not do more for us. We needed a wheelchair for my wife's ability to get about and this was with us and delivered to us with an hour of our arrival.